The word lyrate is used to describe leaves that are shaped like a lyre. 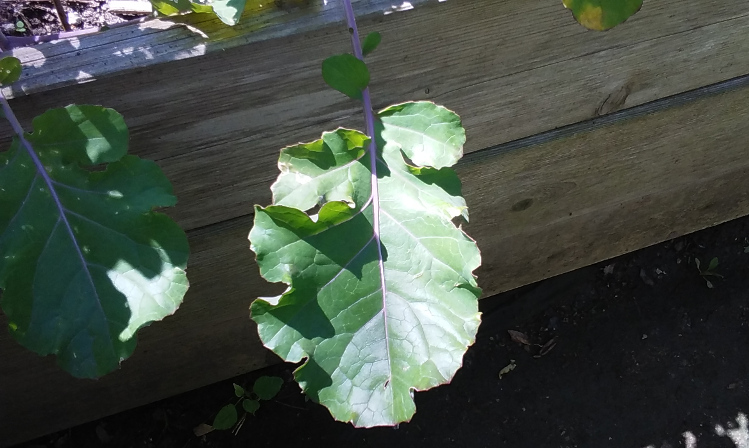 Many plants in the brassica family, such as radish, kale, and turnip have lyrate leaves. *Pell, S.K., Angell, B. (2016). A botanist’s vocabulary: 1300 terms explained and illustrated. Portland: Timber Press.